Leading global players from the solar and renewable energy sectors will be showcasing the latest in industry innovations for the construction market at a key event being held as part of The Big 5, the largest construction event in the Middle East. After a successful launch edition in 2017, The Big 5 Solar is back under the Patronage of the Ministry of Energy & Industry, UAE, to showcase solar energy solutions for the construction industry at Dubai World Trade Centre from November 26 to 29, said the event organiser. 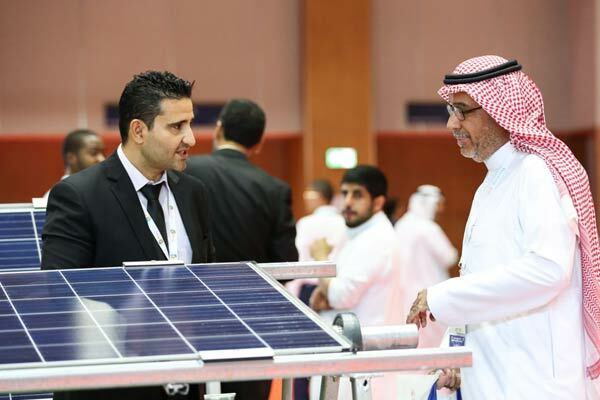 The exhibitors will display products across four of the most prominent sectors including: Photovoltaics (PV), Solar Thermal Technologies, Energy Storage, and Solar Technology and Related Services, it stated. Josine Heijmans, the portfolio director at dmg events, said: "We are excited to kick-off the second edition of The Big 5 Solar this year with a unique focus on bringing solar innovations closer to the wide opportunities in the Middle East construction industry." "Buildings account for 40 per cent of energy consumed in cities and with over 5,000 active projects worth $279.4 billion ongoing in Dubai’s urban construction sector alone, there is no better time than now to showcase solar solutions to construction professionals," she remarked. “Construction is a very big market for us because of the logistical difficulties faced on project sites,” remarked Thair Al Fararjeh, the general manager for Enviro Cooling Systems. "We are currently working on a joint project to develop a smart caravan offering workers the complete off-grid solution for all electronics, we will cover the AC solution in this case. Aside from off-grid air conditioning solutions, the company will showcase mixed-grid units at The Big 5 Solar that will generate zero cost during daylight, only using power in the evening" Al Fararjeh stated. "With off-grid solar solutions becoming increasingly popular in the construction industry, The Big 5 Solar will showcase many such products. Enerray for example operates in the global off grid market through the company Plug the Sun, a firm capable to offer customizable solutions and innovative and unique products for rural electrification and urban living," he added. Antonio Capua, the business development and sales director at Enerray, said: "We recently launched a new product: RAYGO150. It’s a portable solar home system with Pay as You Go feature that offers clean DC power to recharge phones and DC small devices." Exhibitor NeOn Energy also look forward to providing solar solutions for the urban sector with their compact modules. “Space saving properties are unique to our photovoltaic and thermal combined (PVT) module, making them ideal for residential and commercial applications,” remarked Sanjayan Marat, the executive director (Mena) for NeOn Energy. The event, being held as part of The Big 5, will see companies display latest solar innovations and solutions from top brands besides offering free access to industry leading education sessions and hosting the high-profile Global Solar Leaders’ Summit. Under the topical theme ‘Solar Solutions for Construction’, the 4th edition of the summit will address, assess and analyze the way forward for key players in the solar and construction industries. Organised by dmg events, The Big 5 Solar is free to attend and will run from 11AM to 7PM daily at the Dubai World Trade Centre.